The end of Mansfield Road near the forest fields is the unglamourous location of several shabby hotels that seem to be largely populated by stag dos, and the straightforward beer-and-football-and-chips pubs of the New Carrington Inn and the Grosvenor. The Paramount Hotel, picturesquely located opposite Lidl and a closed down furniture store, garnered attention last year for two contrasting reasons. If you watched The Hotel Inspector on Channel 5, you won’t need to be told that this provided the Paramount with the kind of publicity that even Kerry Katona and Katie Price would avoid. However, if you have been watching TripAdvisor more recently, you will know that Gurkha One, the restaurant that opened in the front room of the hotel late last year, has been getting exactly the sort of praise that the hotel itself longs for. When a restaurant appears out of nowhere and seems to be garnering consistent praise, despite its location, it is hard not be curious as to whether the five star reviews are warranted. Is it simply that, in the weird 80s time warp that is this section of town, the relief of getting a half-decent meal inflates impressions to the stratospheric? Or is Gurkha One just really, really good? On last night’s meal, I would say a bit of both probably applies. The restaurant is tiny, more on a pop-up scale, with roughly 20 covers. There’s no escaping the sense of eating in a house converted to a hotel; the bar is in one corner of the room and looks like a reception desk, and the kitchen is directly attached to the dining room by a swing door. Tables are simply appointed and well spaced; the restaurant is dark but clean. The restaurant is run by a couple, Jamal and Michaela, who are assisted by some very youthful waiting staff. The service approach here is very familial and untrained, which for me was quite a pleasant contrast to that ‘I’m your waiter and your mate’ faux-casual approach being indoctrinated into waiting staff in every Jamie’s / Bill’s / Red’s restaurant in town. Throughout the evening, we saw how Jamal was very attentive to every table, providing explanations of the Nepalese fusion of Chinese and Indian influences. The menu we ordered from was on its final outing, and a new menu comes out on March 2nd, so my comments on the food may not apply specifically to future visits, although we certainly got an impression of the range and techniques from the kitchen. The drinks list was reasonable given the small scale of the operation and I am always pleased to see a Gewurztraminer being offered in any Asian restaurant, being a natural foil to the spice and complexity of most far Eastern cuisine. We went straight into mains, which were split on the menu between classic curries, house specialities and grilled dishes (including a whole cauliflower, which I was almost tempted to try just to see how much grilled brassica you can eat before a) you are thoroughly bored and b) the wind of regret starts to gather in your belly). Main courses were all around the £8 mark although whether this remains the case with the new menu is uncertain. 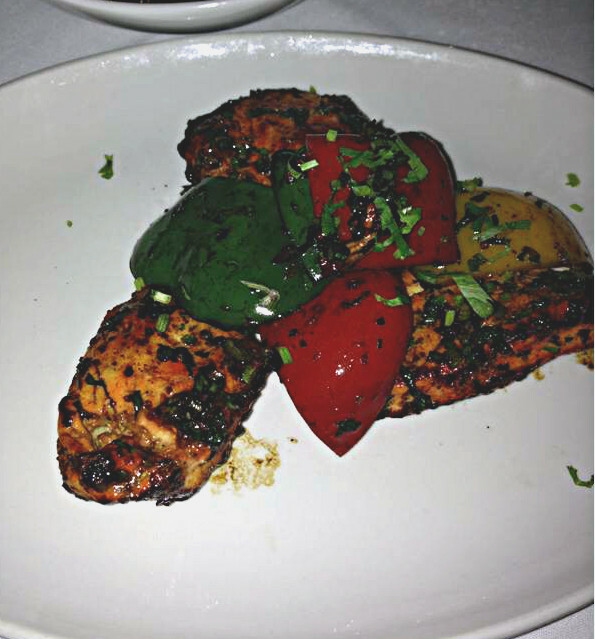 We tried a chicken ‘tikka’ which was quite different to the typical tikka preparation, being based in soy sauce rather than yogurt, and finely diced fresh herbs rather than turmeric, chilli and garam massala. It came with several hunks of pepper and, after a pause, a salad, which had evidently been forgotten given the large gap on the plate. This was not a large portion by any measure, but the three pieces of chicken were well cooked, although the chicken itself was not particularly tasty. We also tried a lamb nehari, which is a warming stew usually served with the lamb shank; here, the lamb was diced and the stew thickened to more of a curry consistency. 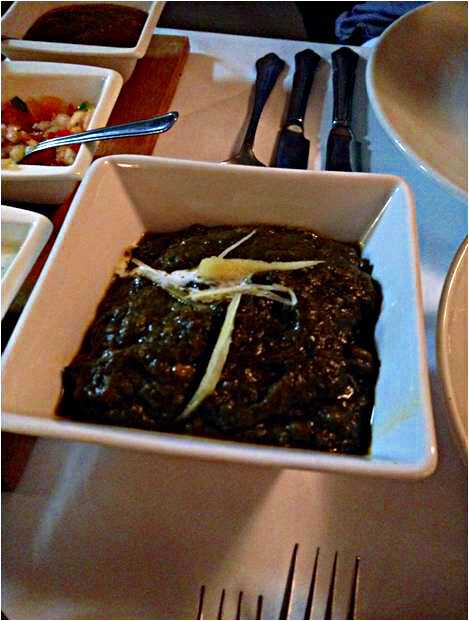 The husband declared it to be “nice” but second fiddle to a stunning side dish sarson ka saag (pictured), based on spinach and mustard leaves that are finely chopped before being cooked into an impressively hot sauce rich with green chillies. It’s not a looker, but it sure packs a punch; if you are suffering with a sore throat or blocked up sinuses, this knocks Lemsip out the park and then some. The husband appeared to be sweating all over his face, which gradually worked up the Dulux chart from ‘skin’ to ‘angry beetroot’, but he kept eating it, because it was so good and there was still plenty of a quality naan left to mop it up. Overall it was a mixed batch, and the impression I had from other dishes leaving the kitchen was that the better options were those that were distinctively Nepalese. 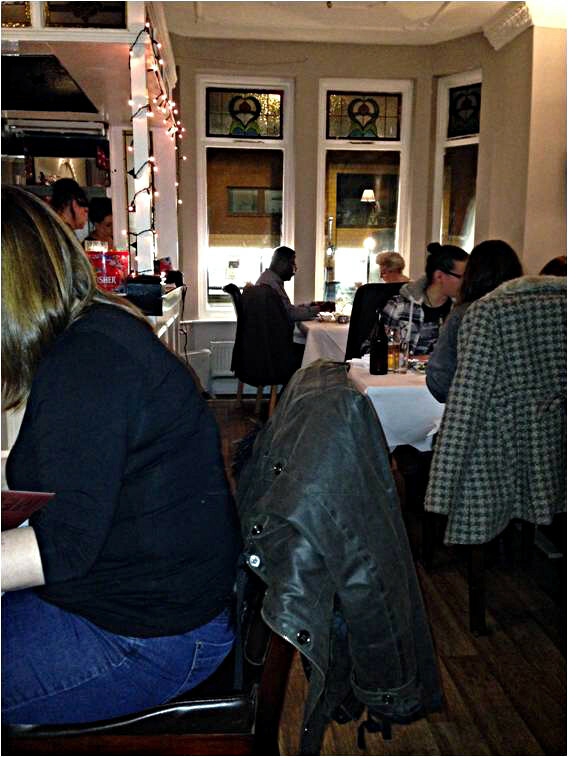 The dining experience is homely rather than lively and it would be a terrible option for a first date or if you are in a hurry, but with friends and a bit of time on your hands, this would be a pleasant place to have a curry for tea. Assuming prices do not change considerably with the new menu, you could have a drink, a starter and a main with a sundry for about £17, which, when you add in the friendly service and cooked-to-order approach, is reasonable value. Gurkha One offers a take away service but it is deliberately limited this to just the NG5 postcode, since the kitchen has a limited capacity and they cook to order. Jamal and Michaela are clearly more motivated to maintain quality of cooking over quantity of customers, which is something to be admired. I was not blown away and certainly cannot add to the five star reviews on TripAdvisor, but I can advise you to call up and book in advance if you fancy trying something a little different on a quiet evening in a less popular part of town.